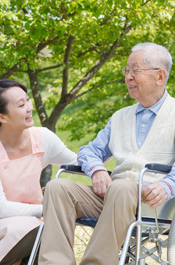 Caring for someone can be a challenge both emotionally and physically. The experience can also be most rewarding. At times carers may need extra help and support that enables them to maintain their carer role. Carer support for people caring for someone receiving palliative care can be provided in various ways depending on individual needs. These may include and are not limited to counselling, respite, help around the home, practical advice and information about medications or equipment, afterhours support, information about financial assistance, carer support networks, and others. Community Palliative Care Services in the Hume Region can provide information to carers or health professionals about support for people caring for someone with a life limiting illness and facilitate carer support as part of their service provision for clients registered with their service.